Project Scope: Use persona to make User Experience design decisions for a website redesign. About this Project: This was an intense two week design sprint. I was the only person on this project and I covered a lot of ground. It was a General Assembly User Experience Design Intensive class project. I will be speaking about the project as if the owners of Rolling Bay Automotive are the clients because that was the premise of the assignment and I believe that makes for simpler understanding. I was provided a persona to inform my User Experience design decisions. 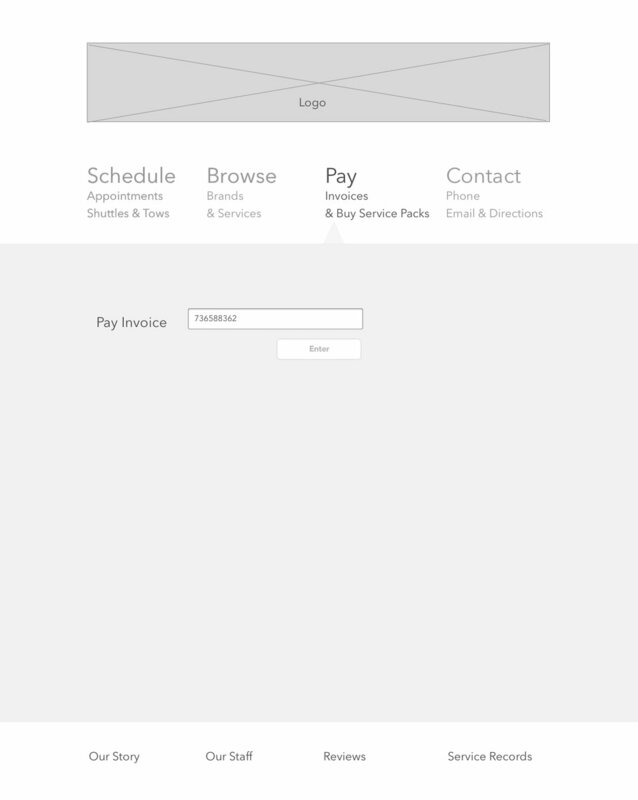 The website redesign client is a family owned automotive repair shop on Bainbridge Island. Their current website lacks functionality for the user. There is a lot of unnecessary copy that overwhelms the user and they quickly abandon the site. In addition, they would allow the business owner to leverage the site as a labor saving tool, leaving the staff to focus on the customers in the shop. How can Rolling Bay Automotive improve their site to meet the needs and possibly delight Daniella? How can they relieve her pain points and make her feel valued as a customer? How can they gain her trust? How can the Rolling Bay Automotive website best serve Daniella and other's like her in a better way than the competition? Daniella needs a way to gather information about services, schedule automotive repair and pay outside of a repair shops hours because she is unavailable during regular shop hours. We believe that by giving Daniella the power to schedule appointments and pay for services we will raise customer satisfaction and increase sales. We will know this to be true when we consistently bring in 15 new customers per month thru the website and raise sales by 5%. What does an ideal experience look like to Daniella? How might Daniella use Rolling Bay Automotive's website? To better understand how I can design for Daniella, I created a storyboard of an ideal experience. I incorporated what is important to Daniella, what motivates her and how we can alleviate her pain points. According to her persona, she loves video chatting with her grandson who lives in London. He is very tech savvy and she enjoys learning more about technology through his encouragement. As she is Skyping with her grandson with her upcoming visit, she tells him she would like to get her car taken care of while she is away. She is unable to call a repair shop because it is Sunday afternoon and all the repair shops on the island are closed. With her grandson's encouragement, she arranges her car repair at www.Rollingbayauto.com and happily heads off to London. How can we simplify the layout of this website? 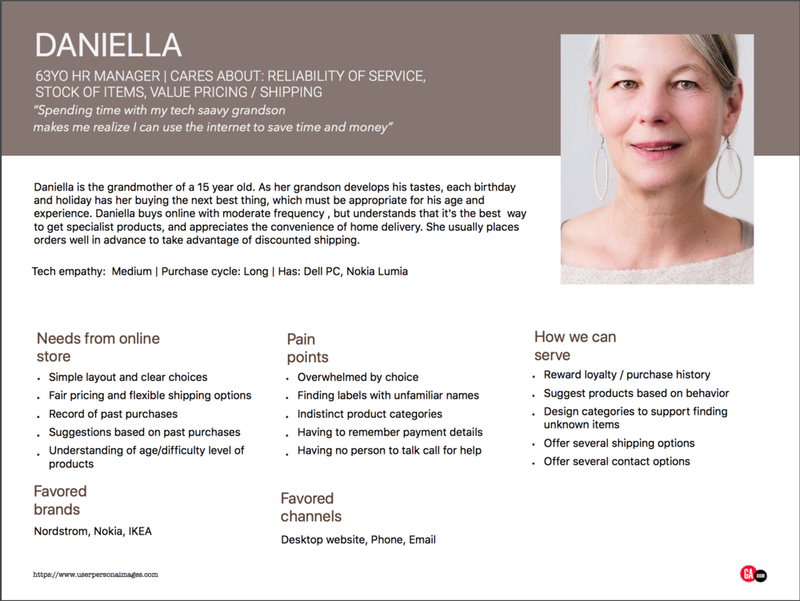 Daniella needs simple layout and clear choices from her online experience. She wants her online experience to be simple and often feels taxed when having to wade though too much unnecessary information. To address Daniella's pain points and needs, I conducted two different card sorts. The first card sort was to discover what users expect when they visit an automotive repair shop website and how they think it should be organized. There were several gaps between the card sort results and what was on the Rolling Bay Automotive website. Of the 3 card sorts completed, the story of the shop, outdated blog posts and information about the staff were grouped and labeled as "unnecessary" or "not interested". What was listed as "important" were more functional activities such as setting appointments, organized information about services offered and brands carried, contact information, business hours and address as well as the ability to pay and pick up after hours. The second card sort was to reconcile Rolling Bay Automotive's desire to covey trust with Daniella's need of simplicity. Currently they are using a story to TELL their Users how trustworthy they are. I added the second card sort because I suspected the way to gain Users trust is to SHOW them. I took the elements of the current Rolling Bay site and added elements that might convey trust in a business relationship and asked participants to sort into three categories "Conveys Trust" . "Does Not Convey Trust" and "Neutral" . I had 3 more participants sort the cards. My hypothesis was correct, nobody put "story of repair shop" or "information about staff" into "Conveys Trust". What the participants did group into "Conveys Trust" were "what to expect" "3rd party source reviews", "quick after hour replies". I researched the competition for auto repair shops on Bainbridge Island. They are all lacking empathy for the user. I found pointless surveys, fake appointment setting, way too much copy with little useful information. There is an obvious gap between the business and the user with all four sites that I compared. This is bad news if your car is broken down after hours, but good news for Rolling Bay Automotive. A little empathy for the user will yield a huge competitive edge. Daniella would quickly abandon each of these sites because they all seem to be using her pain points as a guide for "what to do" opposed to "what not to do". What else is going on in Daniella's life and how does it effect her experience with www.rollingbayauto.com? 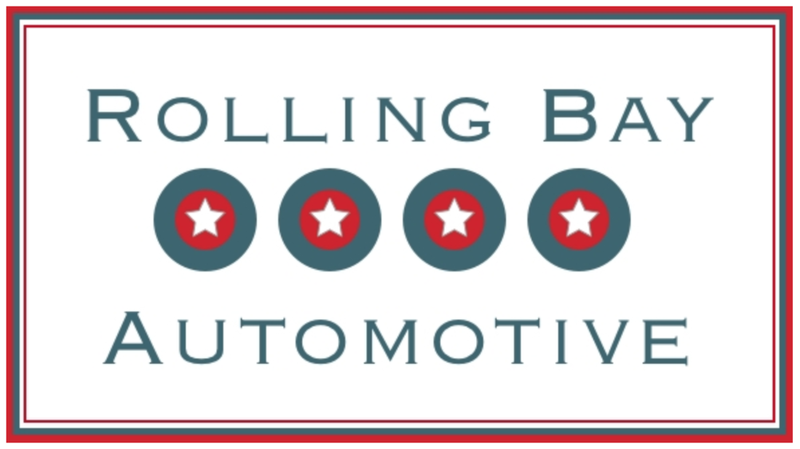 I reviewed all my research and contemplated how Daniella would come to use www.rollingbayauto.com and what else would be impacting her experience. I designed a context scenario and user flow to map out those impacts. I then designed task scenarios to test the prototype below. Wow, you are still here! You must really want to how awesome I am. This is a a video I made to illustrate how website flows with a context scenario . I bet you stay till the end of the movie for the bloopers. I do too!